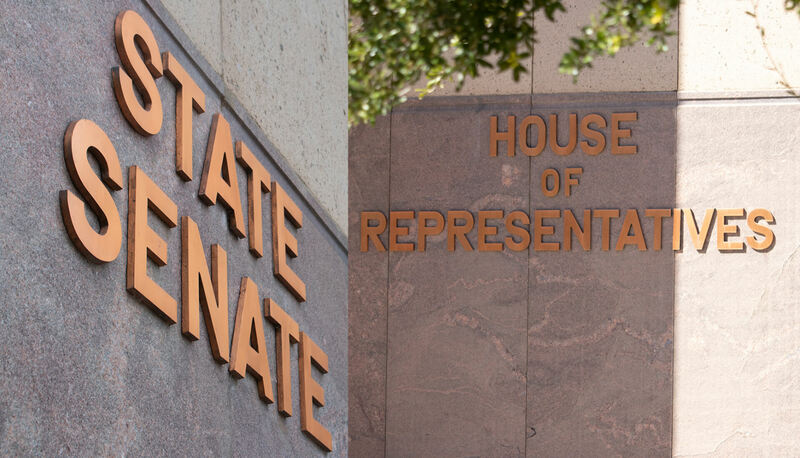 Republicans held firm in the Arizona Senate while Democrats picked up seats in the state House of Representatives, though it may not be enough for them to wrest control of the chamber from the GOP for the first time in 50 years. Democrats were poised to win at least three Republican-held seats in the House of Representatives, with a couple more seats in play as election night came to an end. Democrats knocked off Republican incumbents Jill Norgaard in Legislative District 18, Maria Syms in Legislative District 18, and Rep. Todd Clodfelter, the lone Republican representing Legislative District 10, a Democratic-leaning district in Tucson. Democrats Domingo DeGrazia, Jennifer Jermaine and Aaron Lieberman will replace them. Late-breaking results in the early hours of Wednesday morning also flipped the lead for the second seat in Chandler-based Legislative District 17 to Democrat Jennifer Pawlik, who held a lead of just 140 votes over Republican Nora Ellen. Ellen is the mother of House Speaker J.D. Mesnard, who won the district’s Senate seat. In Legislative District 6, Democrat Felicia French traded leads throughout the night with incumbent Republican Rep. Bob Thorpe. But French ended the night trailing by fewer than 500 votes. And in Legislative District 7, a predominantly Democratic district comprised of the Navajo Nation and several other Native American tribes, Republican Doyel Shamley threatened to win one of the district’s two House seats. But Democrat Arlando Teller took the lead from Shamley, and was ahead by more than 1,500 votes at the end of the night. Going into the election, Republicans held a 35-25 lead in the House of Representatives. Not a single Senate seat changed hands, as Democrats fell short in bids to take Republican-held seats in a few targeted districts. Republicans hold a 17-13 edge in the chamber. Most notably, Republican Sen. Kate Brophy-McGee, who represents Legislative District 28, centered in north central Phoenix and Paradise Valley, fended off a vigorous challenge from Democrat Christine Marsh. At the end of the night, Brophy McGee led by nearly 900 votes in her district, which is a frequent battleground. Republican Sen. Sylvia Allen led by more than 1,500 votes in Legislative District 6, based in rural northern Arizona. Democrats also held onto a Senate seat that Republicans had hoped to take back. For the second consecutive election, Sen. Sean Bowie defeated Republican Frank Schmuck in the Ahwatukee-based Legislative District 18.